Christmas is always a special time of year and our stylish collection of quality Christmas Food Hampers is perfect to thank and reward those who are important to you. It’s safe to say there’s something for everyone, whether you’re looking for a way to spoil your family and friends or you’re considering boosting goodwill in your company with Christmas food hampers for clients and staff. Pretty much everyone enjoys an indulgent, gourmet treat – whether they’re celebrating a special occasion, Christmas with family and friends, or a promotion that they’ve been working towards for years. 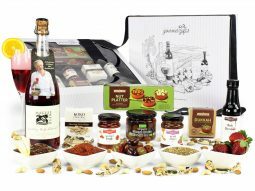 With that in mind, we’ve scoured the foodie market for the very best brands and products, and put the front runners into some exceptional food gift baskets. 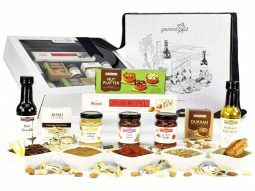 Save time, money and hassle, by ordering your Christmas food hampers through Australian Gourmet Gifts.